Proteins and Peptides are designed and engineered in the laboratory for pharmaceutical interventions to treat different diseases, which can be administered orally are known as oral peptide and protein-based drugs. The global oral proteins and peptides market accounted for $643 million in 2016, and is anticipated to reach $8,233 million by 2028, registering a CAGR of 11.7% from 2022 to 2028. 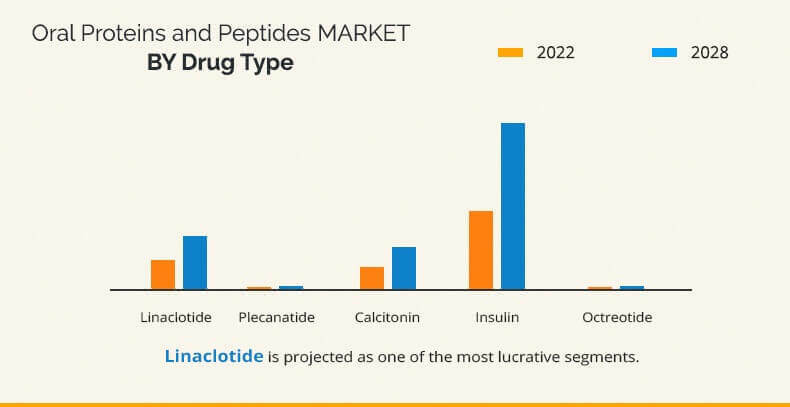 The demand for oral peptide and protein-based therapeutics has increased significantly, owing to increase in prevalence of chronic diseases, rise in patient preference for oral drugs, and enhanced patient compliance. Furthermore, surge in elderly population along with improvement in healthcare settings boost the market. However, high costs associated with oral peptides and proteins and low bioavailability of these drugs in the body restrict the growth of the market. Furthermore, increase in R&D by pharmaceutical companies and surge in purchasing power of emerging economies provide lucrative opportunities to the market players. The oral proteins and peptides market is segmented into drug type, application, and region. By drug type, the market is divided into linaclotide, plecanatide, calcitonin, insulin, and octreotide. By application, the oral proteins and peptides market is categorized into gastric & digestive disorders, bone diseases, diabetes, and hormonal disorders. Based on region, the oral proteins and peptides market is analyzed across U.S. and rest of the world. The U.S. is anticipated to generate the highest revenue in the oral proteins and peptides market in 2022. The rest of the world possesses high market potential for the growth of the market, owing to increase in awareness about oral peptide and protein therapeutics based treatment and rise in oral peptide and protein therapeutics applications. This region is anticipated to experience fast-paced growth, in terms of development and use of protein therapeutics. The diabetes application is anticipated to occupy the largest share in the oral proteins and peptides market in 2022 owing to the high adoption of oral insulin, surge in geriatric population, and rise in prevalence of diabetes. The report provides extensive competitive analysis and profiles of key market players, such as Allergan plc, AstraZeneca plc, Biocon Limited, Chiasma, Inc., Proxima Concepts Limited (Diabetology Ltd.), Generex Biotechnology Corp., Novo Nordisk A/S, Synergy Pharmaceuticals Inc., and Tarsa Therapeutics Inc. Other players (profiles not included in the report) in the value chain analysis include Sanofi S.A., F. Hoffmann-La Roche AG, Synthetic Biologics, Inc., Hovione Limited, and Novartis International AG. 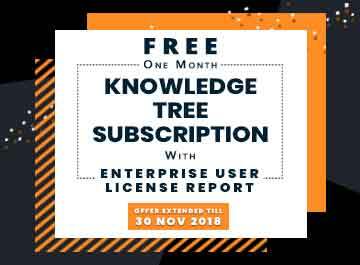 This report entails a detailed quantitative analysis of the current market trends from 2016 to 2028 to identify the prevailing opportunities. 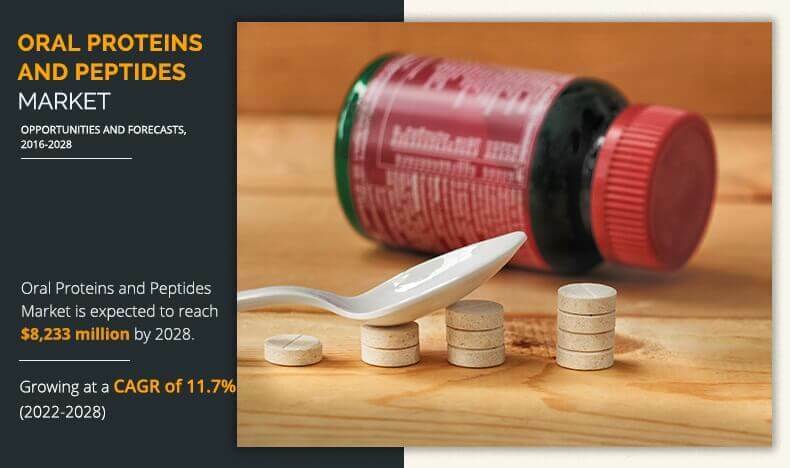 The oral proteins and peptides market size and market estimations are based on comprehensive analysis of the key developments in the industry. In-depth analysis based on region elucidates the regional market and the strategic business planning. Oral proteins and peptide-based drugs contributed significantly in treatment of chronic diseases such as irritable bowel syndrome (IBS) in 2017. Furthermore, advanced oral proteins and peptides are being studied to treat diseases such as diabetes, post-menopausal osteoporosis, and others. These drugs are expected to witness high adoption rate during the forecast period due to surge in prevalence of chronic diseases and increase in elderly population. However, high costs associated with oral proteins and peptide drug development and low bioavailability of these drugs in the body restrict the market growth. At present, gastric & digestive disorder treatment through oral proteins and peptide-based drugs holds a maximum share in the global market, and is expected to maintain this trend during the study period. This is attributed to rise in prevalence of chronic diseases such as IBS among the geriatric population. Increase in awareness toward oral proteins & peptide-based drugs and investment in research, innovation, and drug development fuel the demand for oral proteins and peptides. The employment of these is highest in the U.S., owing to increase in adoption of these drugs, followed by the rest of the world. 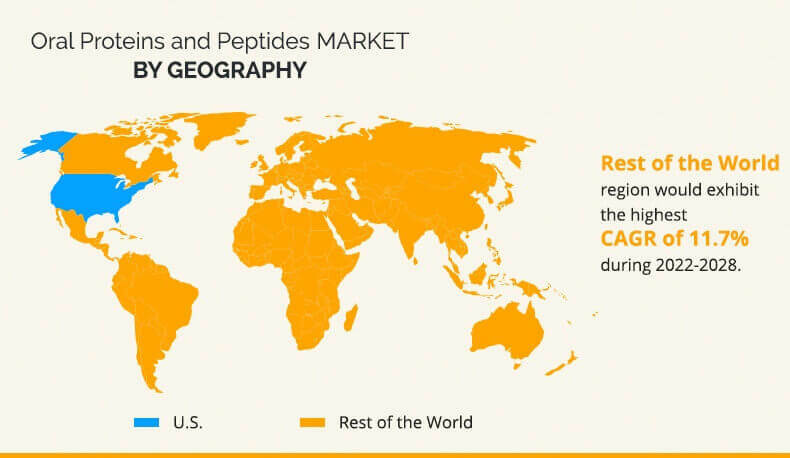 "Oral Proteins and Peptides Market"